Leslee Brown has been a physical therapist in orthopaedics since 2000. Leslee believes that being able to work closely with the physicians and their staff is a benefit to our patients by providing consistency and continuity in patient care. 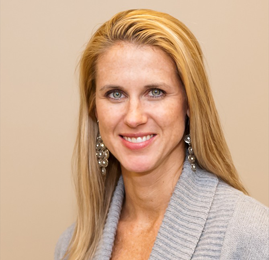 Leslee received her undergraduate degree in Biology from Southwestern College and she is also a graduate of the University of Kansas Medical Center where she received a Master of Science degree in Physical Therapy. Leslee is licensed with the Kansas State Board of Healing Arts and is a Certified Athletic Trainer through the Board of Certification for Athletic Trainers. Leslee enjoys spending time with her family and running.